Growing your blog is a big topic. And I don't just mean making money. I mean getting traffic, getting followers, and getting an email list. It's all important to blog growth (and to monetizing, if that's what you eventually want to do). 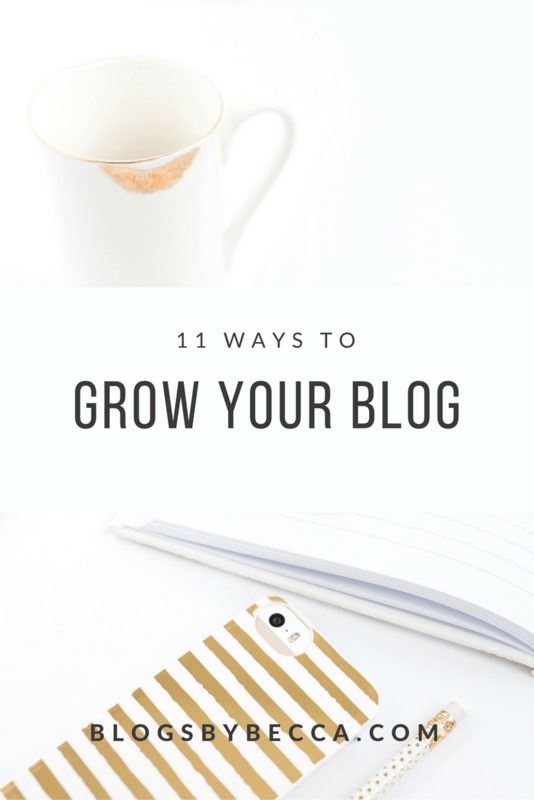 It's not easy, but here are 12 ways to grow your blog. Note: This post contains affiliate links. That means that if you purchase through an affiliate link, I receive a small commission. There is zero extra cost to you for this. I can attest that there are a million blogger Facebook groups out there (I'm probably in half of them). I only actively participate in a handful, but they can be super, super useful. You can share your links (if it's allowed) and meet other bloggers in your niche. And get your questions answered. Facebook groups are a great way to do all of that. 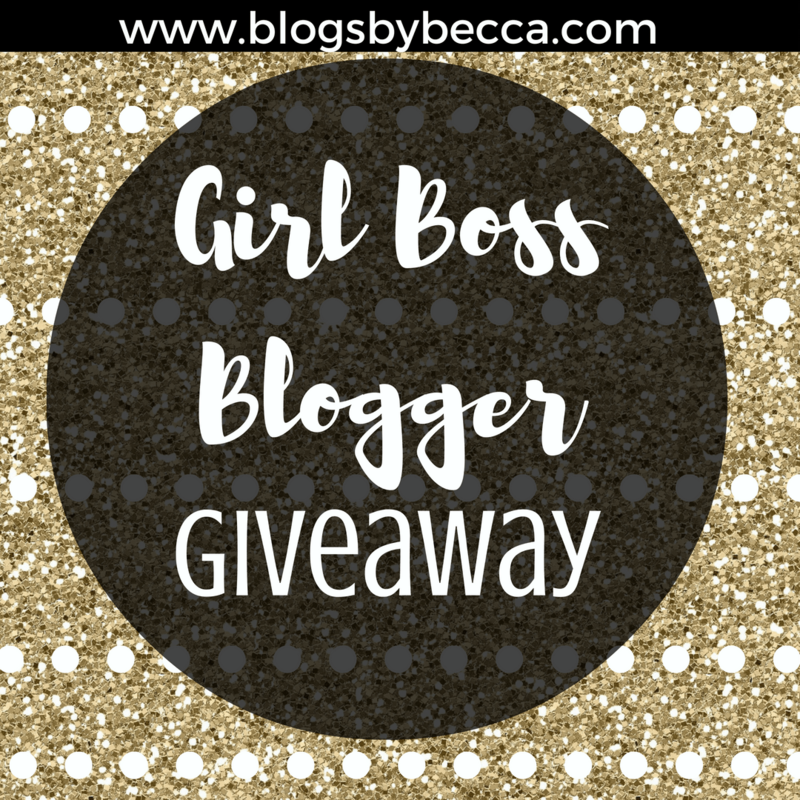 If you're looking for a new group to join, check out my group, Blog Boss Babes! You should definitely have social share buttons on your blog. I have them on the lefthand side and above and below each post. This ensures that it just takes one click for someone to share your post to Twitter, Pinterest, or whatever. Obviously you want your post to be shared as many times as possible, so make it as easy as possible. SumoMe and Social Warfare are my favorite for this. Just like you should have social share buttons, you also need social follow buttons. This means that it just takes one click for someone to follow you on Facebook or Instagram. I use Simple Social Icons for this (and it's free!). And hey, here's my shameless plug to follow me on Facebook, Twitter, Instagram, and Pinterest! I just did a whole post on social media automation right here, so I'll let you read the details there. But the short version is: Meet Edgar and Board Booster rock my socks and save me approximately 25 hours a day. I just discovered this one recently, and I love it. Milo Tree is a small pop-up that comes up in the righthand bottom corner of the screen when you enter. And it asks the reader to follow you on one of the social networks, or to enter their email. I use it for Pinterest follows, but you could use it for other networks as well. I like it because it's small and unobtrusive, but still gets the job done. With some exceptions, I generally schedule all of my content ahead of time. I know what I'll be posting on the blog for the next few weeks. It helps me stay on schedule and it means that I have time to properly plan each post. Good content = growth. SEO (search engine optimization) is crucial for blog growth. If Google doesn't like your blog, it'll bury it. People teach entire courses on it (and I'm not one of those people). But I do use the Yoast SEO plugin, which is a lifesaver. It tells you exactly what to do to improve your SEO on every post, in real time. I'm using it right now. It's free. So get it. My last giveaway added almost 1100 people to my list. For real, that's pretty crazy. And it's not like I was giving away a free car. The package was worth around $200. Tldr: Giveaways are the fastest way to grow your list. I use the King Sumo app and love it. It creates a viral giveaway, meaning that everyone gets a unique link, and if they are it on Twitter and someone else enters through their link, they get extra entries. People love it. Put content upgrades in every blog post. People like free stuff. You have to give people value in exchange for their email address. Never forget that. Make (good) content upgrades and you'll keep people coming back for more. I use Beacon to create mine, which I love. What a coincidence, I've got a content upgrade for you! 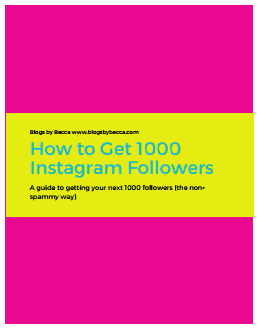 You can download the How to Get 1000 Followers on Instagram Guide right here. Get your guide! Smiley face. Running a free email course/challenge is a great way to grow your list and to show your own expertise in your niche. 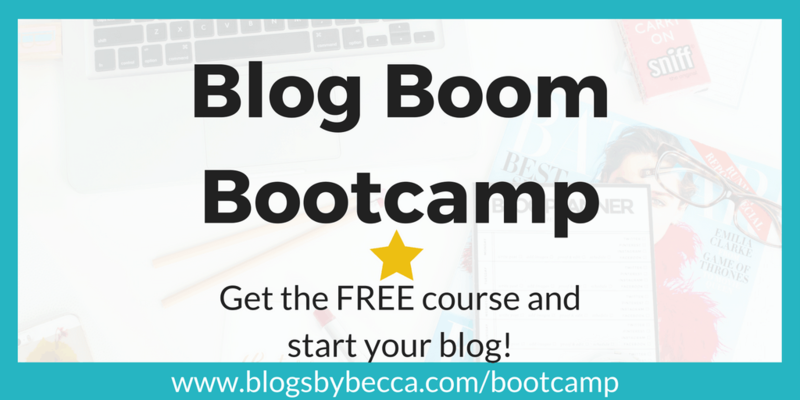 My current main email course, Blog Boom Bootcamp, has been great for my list. If you have something like ConvertKit, it's SO easy to run an email course, too. Writing the content takes time, of course, but after that it takes about 5 minutes to set up in ConvertKit and then you never have to touch it again. Last, but very certainly not least, if you want to grow your blog, you should get real about Pinterest. 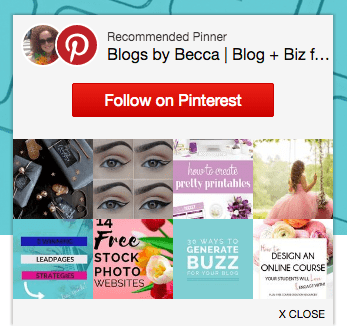 Pinterest can bring crazy traffic to your blog. But you must, must, must use it correctly. Otherwise it'll do basically nothing. 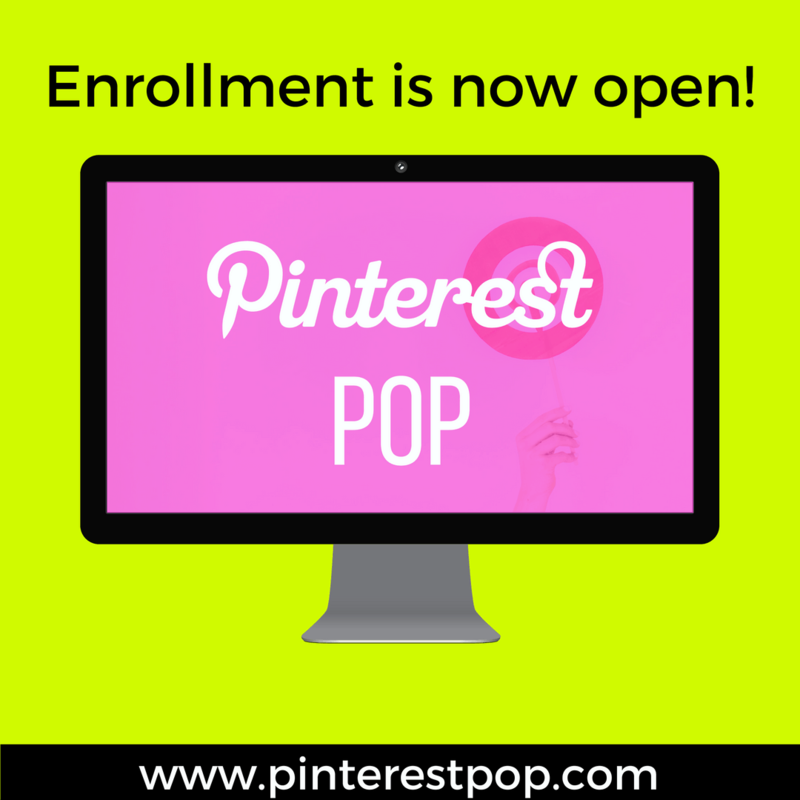 I've got a long post on it here, and a way more in-depth explanation in my course, Pinterest Pop. Check those out if you haven't gotten on the Pinterest train yet. You won't regret it.